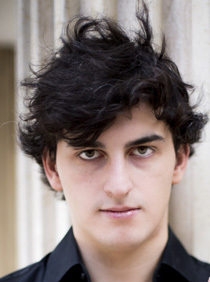 Mevlan Mecid, born in 1993 in Baku, Azerbaijan into a musical family. Mevlan was accepted to the Bilkent University Faculty of Music and Performing Arts Music Preparation School, Ankara in 1999, where he studied violin with Muhammedjan Turdiyev until 2008. In February 2004 he participated in the 7th International Young Musicians Soloist Competition, held by the Thrace University Conservatoire and was granted the privilege to perform with the Thrace University Chamber Orchestra. He took part at the class concerts of Turdiev’s students in Gazi University, 9th September University (İzmir) and Anatolia University (Eskişehir) and given many other recitals and concerts throughout Turkey. Mecid won the second prize in the second category of the 1st National Gülden Turalı Violin Competition held in Mersin, November 2004. He has played with acclaimed Turkish orchestras such as Bursa Symphony, Bilkent Symphony and Mersin University Chamber Orchestra in 2005. He appeared as a guest on the Turkish State Radio 3 programme in December 2005 and his live performance was broadcasted nation-wide. 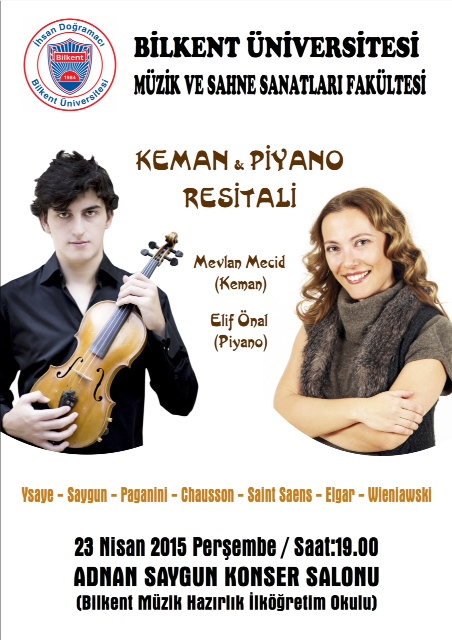 Mecid was awarded the ‘Fourth Prize’ and ‘Best Enescu Nocturne Interpreter’ at the 12th ‘Remember Enescu’ Violin Competition, held in Romania in December 2007. The jury decided for Mevlan to give a concert at the former Romanian King Peles’ Palace. Mevlan performed Bruch’s Violin Concerto with the Azerbaijan State Symphony Orchestra in Baku, in 2008. The same year he has also attended the ‘Musica Mundi’ International Chamber Music Summer Festival for Young Musicians in Brussels where he had intense chamber music coachings with Yair Kless, Talich String Quartet and performed in various places in Brussels with his chamber groups. Later in 2008, he came to the Chetham’s School of Music, Manchester to study violin with Jan Repko. In 2010 and 2011 he attended ‘Festival Musicalp’ in Courchevel, France. He has played in many solo, orchestral and chamber music concerts throughout the United Kingdom. He participated in many master-classes with famous violin pedagogues and soloists such as, Vesselin Paraskevov, Boris Garlitsky, Mintcho Mintchev, Maxim Fedotov, Detlef Hahn and Boris Kuschnir. Mevlan attended ‘Astona International’ summer music festival in the summer of 2012 in Switzerland where he had the chance to perform solo and chamber music repertoire in various venues around Switzerland. 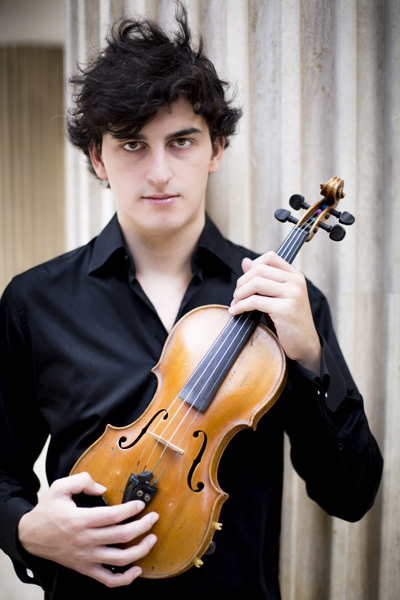 In September, 2013, Mecid was awarded ‘Forderpreis’ in Koningin Sophie Charlotte International Violin Competition in Germany and was a finalist in York Chamber Music Festival Competition in 2014 with his quartet. 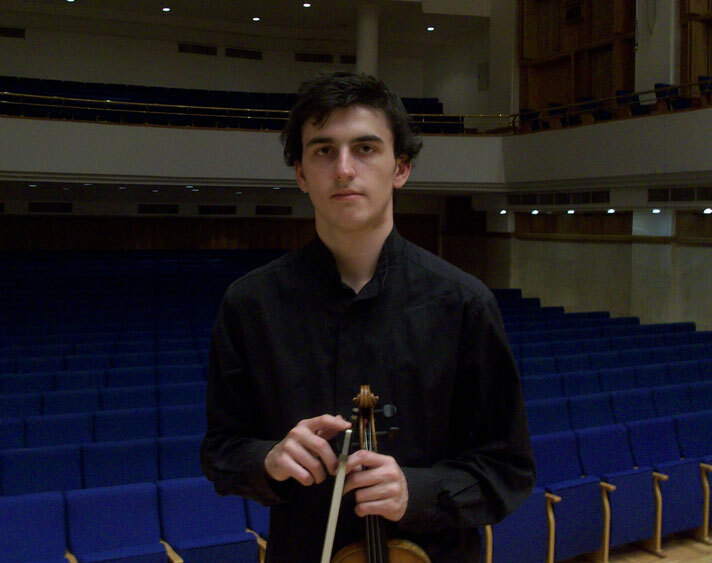 Mevlan Mecid studies violin at the Guildhall School of Music and Drama with Jacqueline Ross since September, 2012.